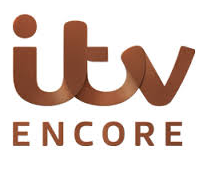 ITV steps back into the pay TV market today with the launch of its new drama channel ITV Encore. In partnership with Sky, the channel will launch at 7pm and will broadcast daily between midday and 4am, with the remainder of hours filled by what is billed as "The Encore Hour". Highlights of the first night's broadcast includes the first repeat run of hit drama Broadchurch. The channel will rely on repeats initially, before it starts broadcasting its own material from next year. As a result of the ITV/Sky partnership, the channel is exclusive on Sky UK's satellite and internet platforms. On Sky, the channel can be found on channel 123 - either in HD or SD, depending on subscription type. The +1 version of the channel is found on channel 193. While Freeview, Freesat, YouView and Virgin Media viewers will miss out on the channel, ITV's next new channel ITVBe, will launch on all major digital TV platforms later this year. ITV Encore is the broadcaster's first pay TV channel since the demise of the Granada Plus pay TV channel in 2004, which in turn came two years after its pay TV platform ITV Digital flopped. ITV Encore is broadcast on the Astra 2E satellite with a footprint restricting reception to the UK, Ireland and parts of the near continent. It is however only available to Sky UK subscribers. a516digital has received numerous enquiries regarding manual tuning details for the new channel: it can only be received through Sky: eligible viewers in the UK will see the channel on channel 123. If you haven't got ITV Encore on satellite, manual retuning will not enable you to watch it - you are either not eligible (e.g. a Sky Ireland customer) or out of the satellite footprint (e.g. satellite viewers in southern Spain). It is not available on Freeview, Freesat or any non-Sky service. Very helpful for those of us with boxes more versatile than those from Sky! and no mention of if being available via NOW TV boxes, despite being informed in the press release http://www.itv.com/presscentre/press-releases/itv-encore-launch-sky#.U5Wp5VVwaXI - have things changed ?